Playing a 7inch vinyl only DJ-Set @ Lisbon|Portugal together with the Jovens do Clara (guys from Clara): Mr. Bird (BBE Rec.|UK), DJ Rebel (Dj’s Choice|IT) & DJ Lucky (Lisboa|PT) on 12th June 2014. This day is called “Dia de Santo António” – a holiday in Lisbon where they celebrate the saint Antonius (patron of Lisbon). On this day the whole city is on fire: parades, street festivals.. and of course parties! Playin’ open air at the wonderful Jardim Clara Clara (a parc located in the old town). 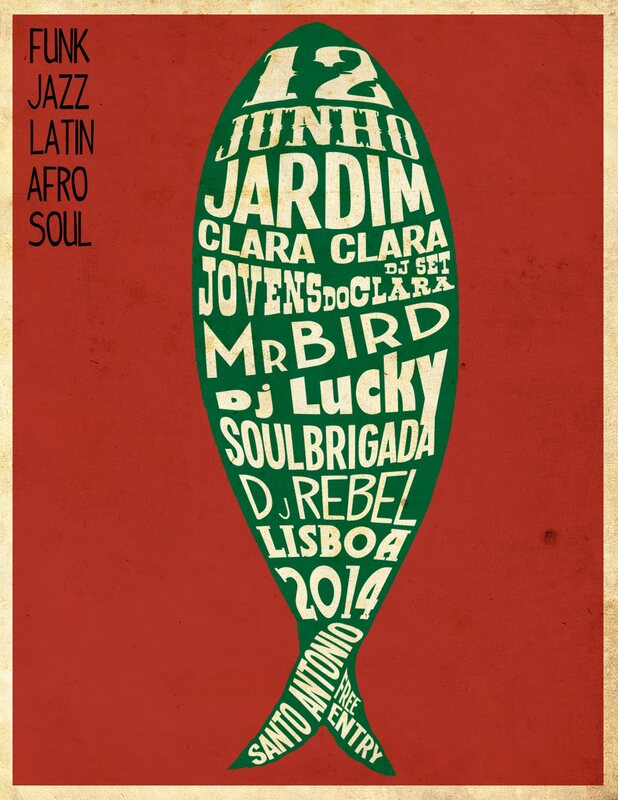 Lookin’ forward to the first SoulBrigada DJ-gig in Portugal!